Well, it doesn’t seem so long ago, but space travel does tend do funny things with time! 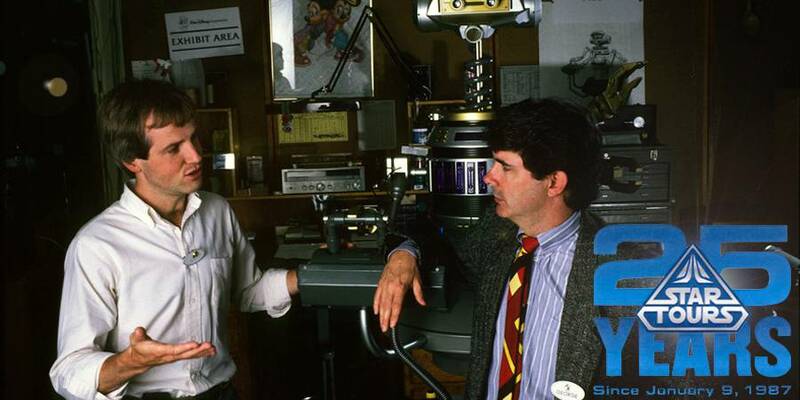 I remember the day that George Lucas came to Walt Disney Imagineering to talk about potential projects we might do at the Parks. He very quickly became intrigued with the notion of combining state-of-the-art flight simulation technologies with state-of-art storytelling. 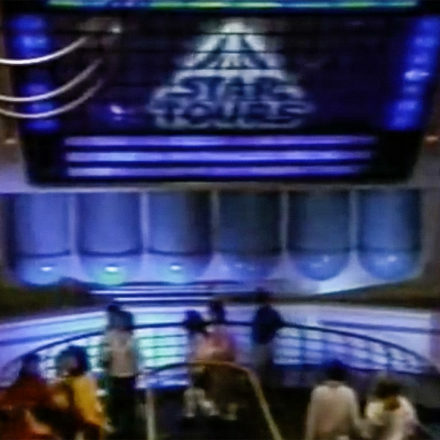 The result was the original Star Tours attraction, which transported millions of Disney guests over the years to the Star Wars galaxy. 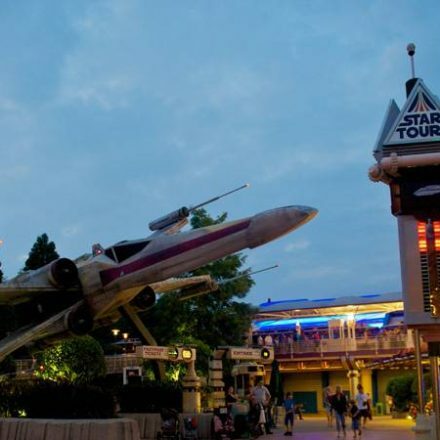 Today, we are excited that “The Adventures Continue,” with a brand new iteration of Star Tours at Disneyland Park in California and Disney’s Hollywood Studios at Walt Disney World in Florida. It was such an honor and so much fun to work with George Lucas, ILM, Skywalker Sound, Anthony Daniels, Howard Roffman and so many more talented individuals on both shows. And it’s fantastic to know that the fans of Disney and Star Wars continue to enjoy the adventures as much as we do. 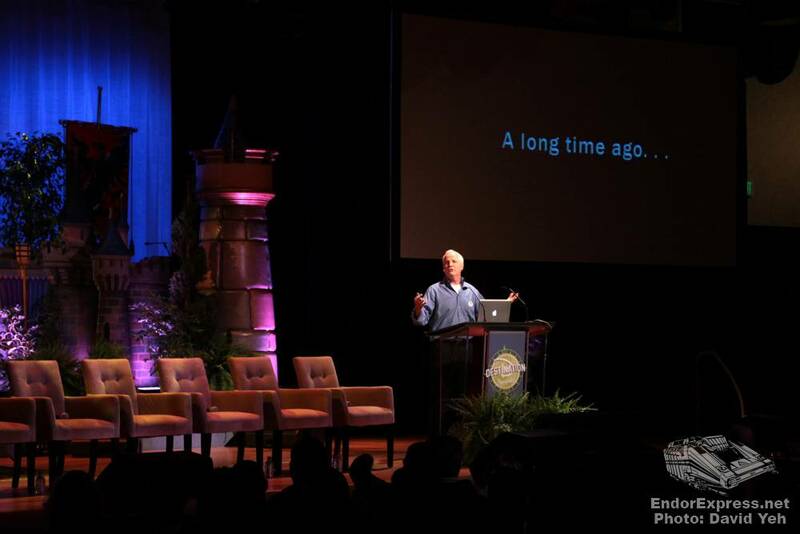 Special thanks to Tom Fitzgerald for taking the time to comment on Star Tours 25th Anniversary. Also Thanks to Frank Reifsnyder and David Yeh.